Each year, indigenous tribes across America celebrate the Sioux, Cheyenne, and Arapahoe Indians victory over General Custer and his troops at the Battle of the Little Bighorn (Battle of Greasy Grass). 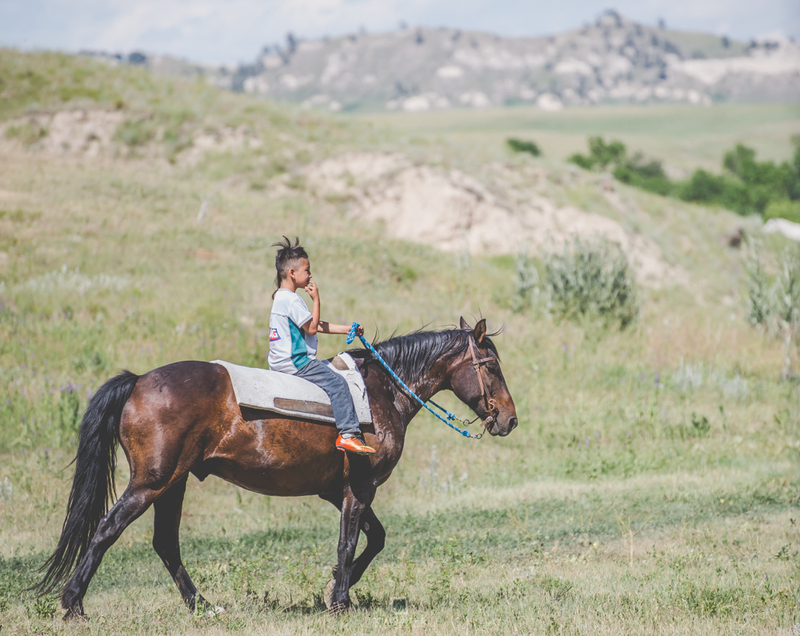 In Kiza Park on the Pine Ridge Indian Reservation in South Dakota the celebration is three days long and includes camping, live music, workshops and horse races. The event kicked off on Friday June 23rd with live music and basketball and horseshoe tournaments. The Lakota Hemp Days Celebration was on Saturday June 24th and included workshops and demonstrations on hemp paper making, hemp plastics and hempcrete. The Victory Day Celebration was on Sunday June 25th and consisted of the War Pony Races and a reenactment of the Lakota’s victory in the Battle of the Little Bighorn. Below are some of the photos I took on Sunday at the Victory Day Celebration. In 1875, after gold was discovered in South Dakota’s Black Hills, the U.S. Army ignored previous treaty agreements and invaded the region. This betrayal led many Sioux and Cheyenne tribesmen to leave their reservations and join Sitting Bull and Crazy Horse in Montana. By the late spring of 1876, more than 10,000 Native Americans had gathered in a camp along the Little Bighorn River–which they called the Greasy Grass–in defiance of a U.S. War Department order to return to their reservations or risk being attacked. At mid-day on June 25, Lieutenant Colonel George Armstrong Custer’s 600 men entered the Little Bighorn Valley. Among the Native Americans, word quickly spread of the impending attack. The older Sitting Bull rallied the warriors and saw to the safety of the women and children, while Crazy Horse set off with a large force to meet the attackers head on. Despite Custer’s desperate attempts to regroup his men, they were quickly overwhelmed. Custer and some 200 men in his battalion were attacked by as many as 3,000 Native Americans; within an hour, Custer and all of his soldiers were dead.